As I’ve mentioned previously, Koreans love to braai and they do so quite brilliantly. 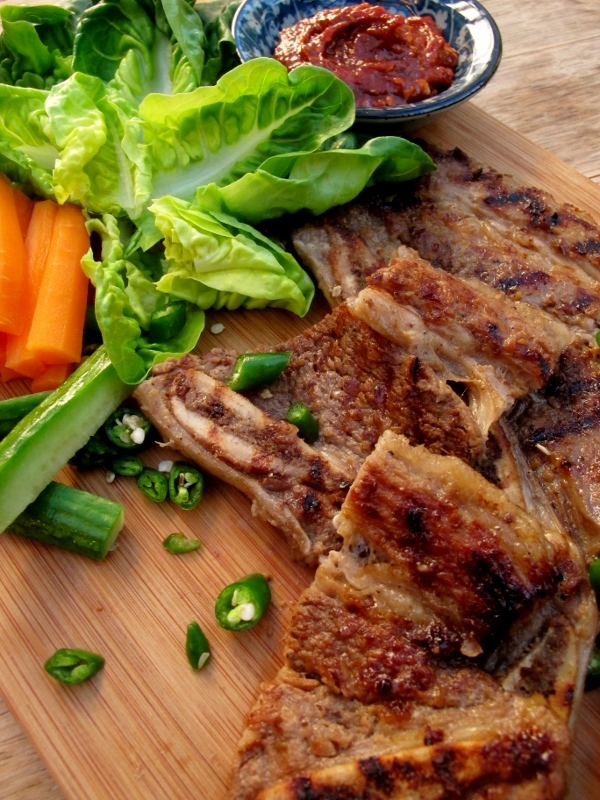 Whilst galbi is the undisputed star of any Korean Barbecue, there are plenty of other yummy options vying for space on your grill – this tasty recipe being chief among them. 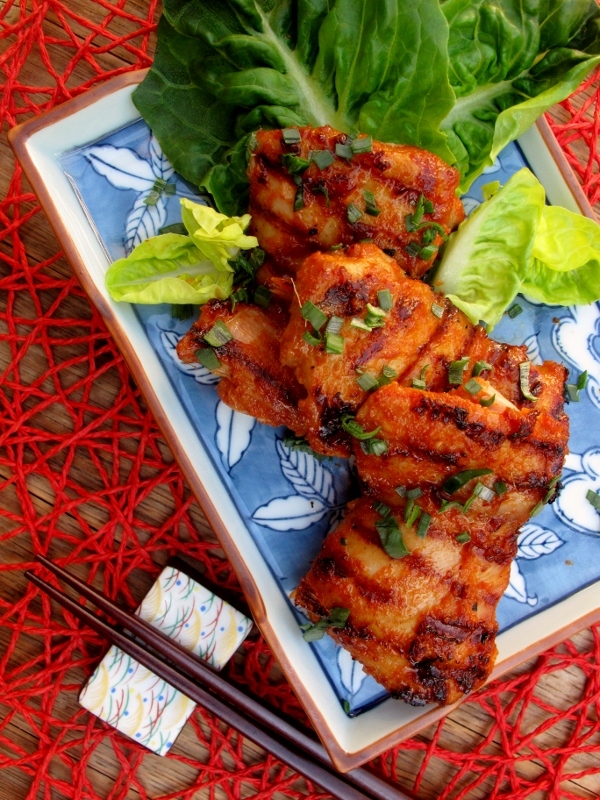 This simple recipe is an absolute barbecue wonder and, as with most Korean marinates, has a transformative effect on the chicken, especially if left overnight. Whilst you can get away with marinating your meat for less time, ideally this marinate needs at least 12 to 18 hours to work its magic. A classic Korean dipping sauce. 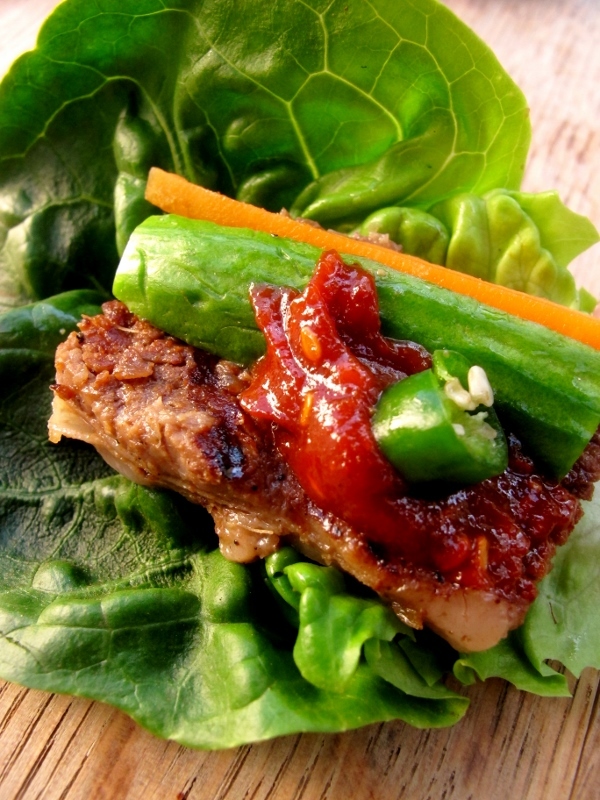 Typically eaten with galbi, ssamjang is usually smeared onto a lettuce leaf, along with a morsel of barbequed meat and raw vegetables. Ssamjang’s appeal is not just confined to being a condiment for Korean food; it is also great on burgers and is insanely good in grilled/toasted cheese sandwiches! 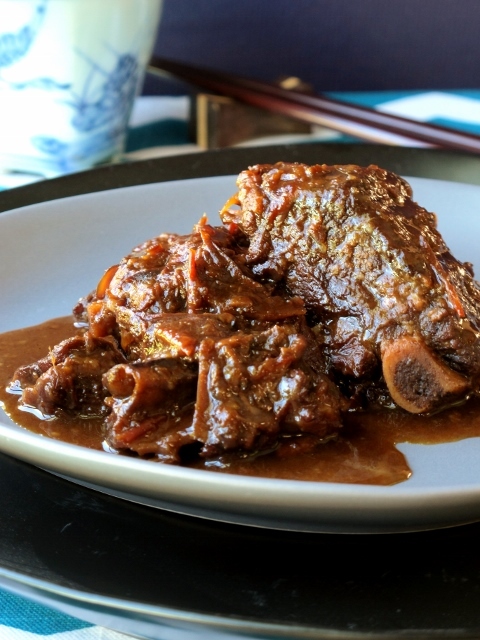 The soya bean paste gives the sauce a wonderful smoky depth which, in truth, goes with just about any kind of barbequed meat – Korean or not! For years I have always thought of ssamjang as being a hot, spicy sauce, and why would I think otherwise? 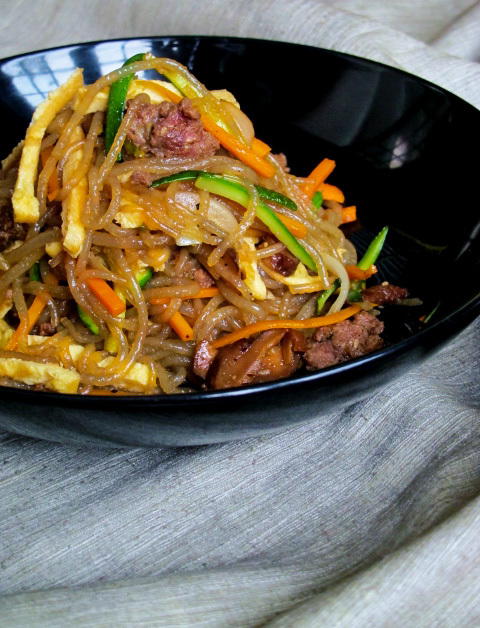 Ssamjang is, after all, a Korean condiment. And then, quite by chance, I recently re-read the recipe and realised that I had, in fact, been confusing the quantities of the soya bean and chilli pastes! I was mortified. My beloved spicy ssamjang was, in fact, nothing more than a fiery aberration! At any rate, it turned out to be a happy mistake, as both versions are equally tasty. 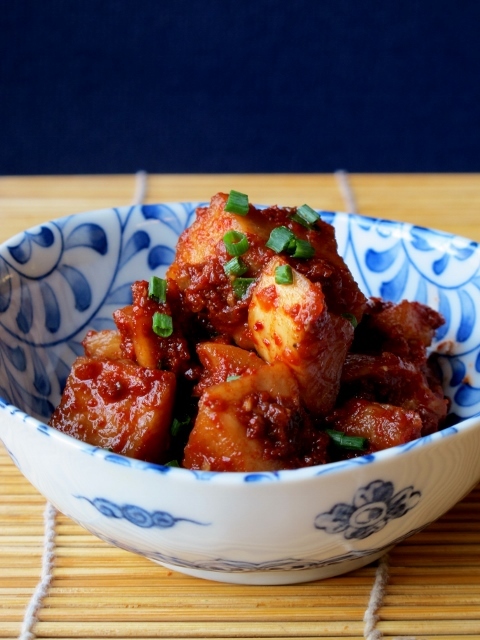 I have just come to think of my spicy ssamjang as being my personal contribution to Korean cuisine. 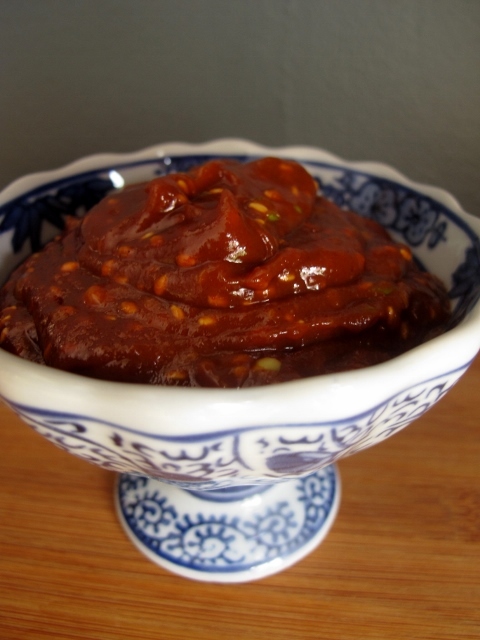 The following recipe is actually for the traditional version of the sauce, but if you would like to try my mutant ssamjang, simply reverse the quantities of the chilli and soya bean pastes (i.e. 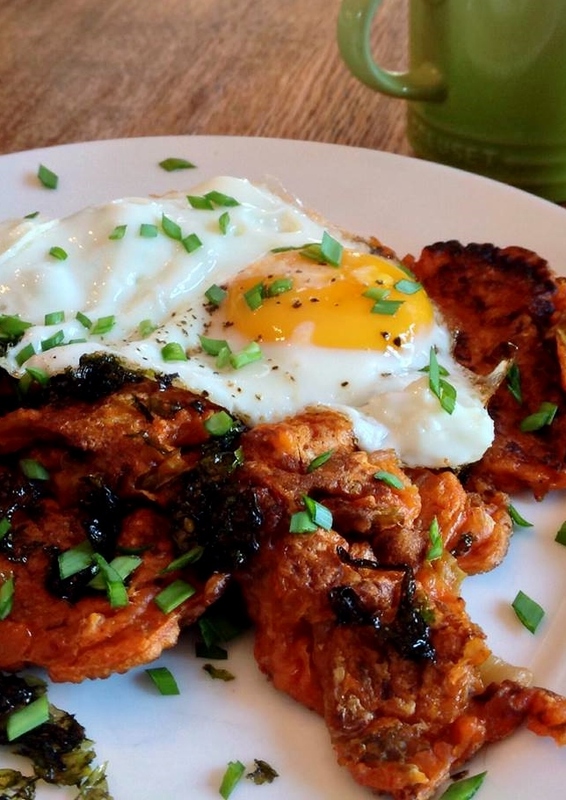 1/4 cup gochujang and 1 tbsp. doenjang).